For weeks, students’ ears have been met with the high-pitched alarm when the Clough doors remain open for too long. Though this may seem like a design glitch or a security measure to prevent students from propping the doors open for extended periods of time, the alarm actually increases the building’s energy efficiency. “The alarms in Clough go off to remind people to close the doors, primarily as an energy-saving measure,” said Jason Wright, communications manager for Tech’s Library. “It is one of the LEED requirements that contributed to the building’s certification.” The alarms are supposed to encourage students to keep the doors shut, in order to keep the climate-controlled air inside the building. Clough is one of two LEED-certified Platinum buildings on Tech’s campus, along with the Carbon Neutral Energy Solutions Laboratory. Clough earned the Platinum certification in 2011, two years after opening. Originally, the alarms sounded when the doors were kept open for longer than 30 seconds. 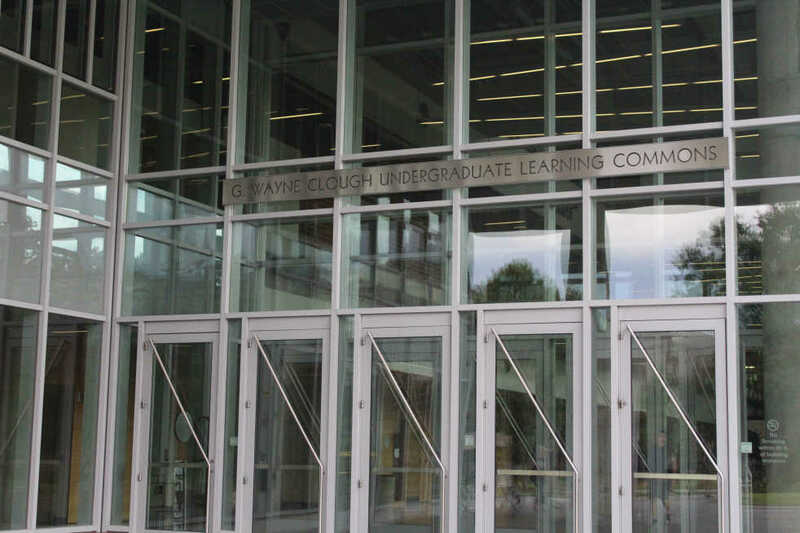 Hundreds of students filter through the Clough doors between classes, causing the doors to surpass the threshold frequently. The Clough management team has solved this issue by turning the alarms off instead of extending the time they can be kept open. This will not affect Clough’s LEED certification.